Burke, Warren was a sponsor of the Justice Circle event in support of Chicago Coalition for the Homeless, the oldest not-for-profit advocacy group focused on homelessness in the United States. The organization works to protect the rights of homeless people and advocates for long-term solutions to the problem of homelessness. Burke, Warren also provides pro bono support to the organization. 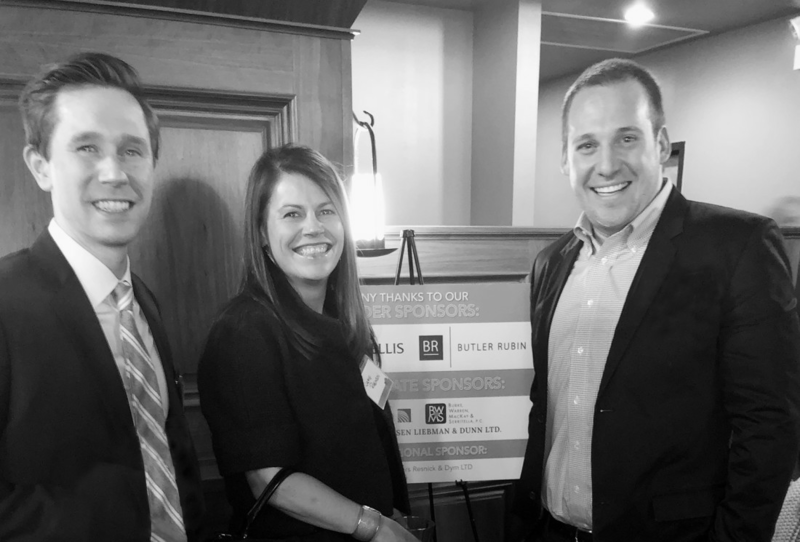 Firm attorneys (from left) Josh Cauhorn, Jamie Robinson and Steve Schuster attended the recent event at Revolution Brewing.